Garaventa inks a $45 million deal for a 4x funifor, 1x aerial tramway megaproject in Switzerland. 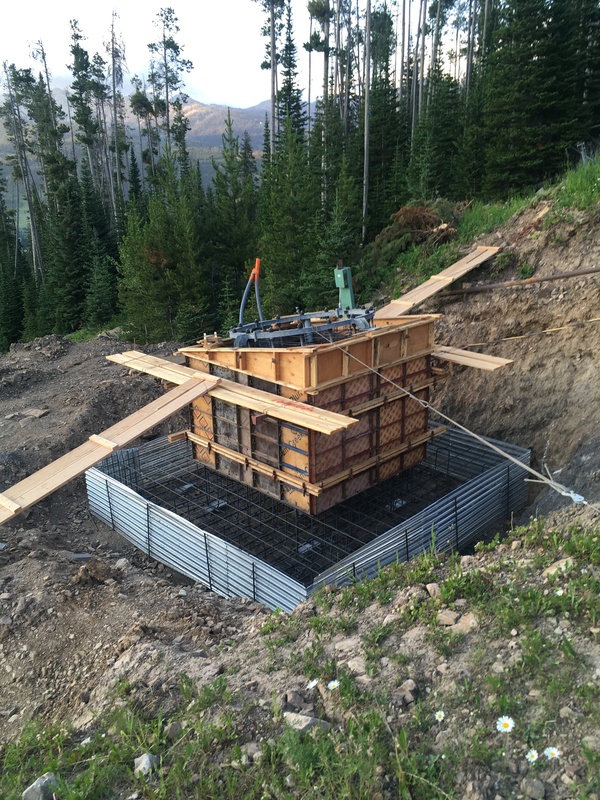 Beartooth Basin attempts to crowdfund this spring’s operation, including $35,000 for a required gearbox replacement on Poma 1. An ugly snowmobile-chairlift crash is caught on tape at Sunshine Village. The City of Steamboat will overhaul the Howelsen Hill Poma this summer and plans to replace Barrows around 2021. The Transbay Transit Center in San Francisco and associated aerial tram may reopen as early as June. Disney Skyliner’s nearly 300 ten passenger cabins will come in ten different colors with 22 unique character wraps. The Indy Pass is still adding mountains. With Timberline Resort’s owners unable to find an attorney, a judge postpones a state receivership hearing until May 28th. Leitner will show off updated six passenger chair and Diamond gondola designs at Interalpin. Local businesses leaders are pushing for a high capacity 3S on Burnaby Mountain. Steamboat plans to sell its now retired gondola cabins to other ski resorts around the world for parts. The so-called Balsams bill passes the New Hampshire Senate and is expected to be signed by the governor. Bretton Woods’ upcoming gondola gets a great name: Presidential Bahn. Copper updates the public on its big new American Eagle and American Flyer lifts. For the third time in six years, Soldier Mountain, Idaho hits the market. 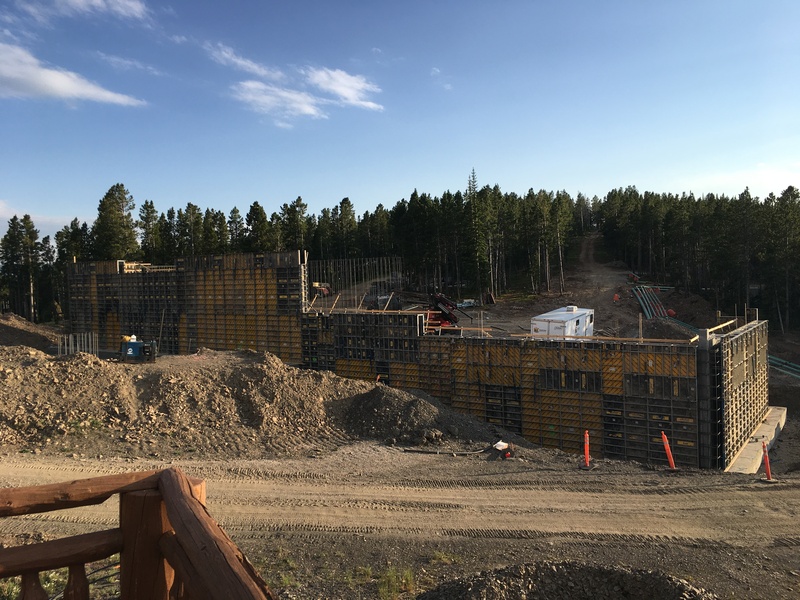 “The current owners have experienced the typical start up challenges that come with operating a ski area that has been under capitalized, under managed and under marketed for many years,” writes Mike Krongel of Mirus Resort Advisors. 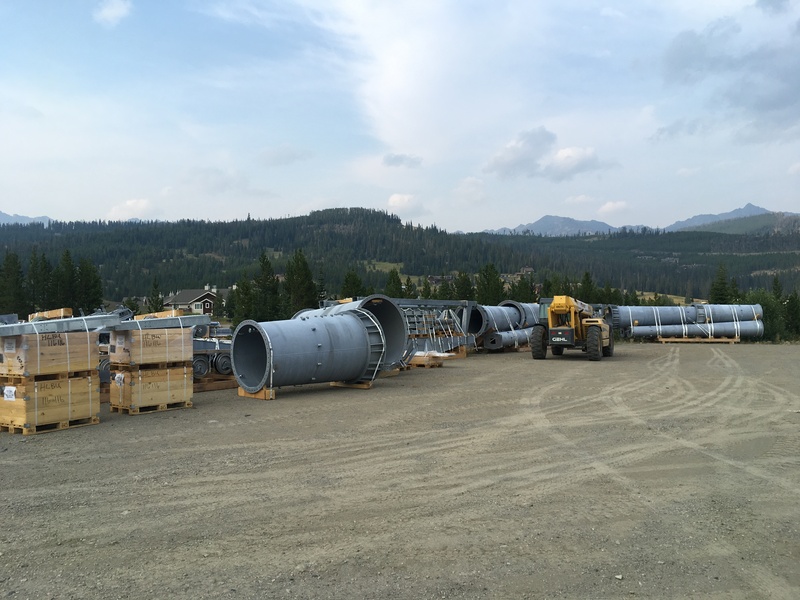 The BC Supreme Court orders the province to reconsider its 2015 decision to pull Jumbo Glacier Resort’s construction permit over lack of progress. Mont Cascades scores a $1.2 million grant from the Government of Quebec to help build the resort’s longest chairlift yet. The criminal case of a former employee who may or may not have been stuck on a Gore Mountain chairlift overnight last winter heads to trial. The 380 acre Cold Springs Canyon expansion and detachable quad are officially a go for next summer at Sun Valley. 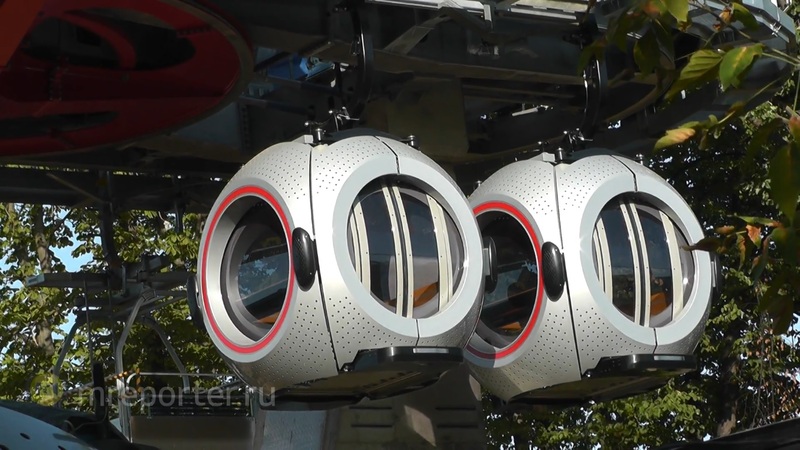 Doppelmayr nears commissioning of a very cool gondola with spherical cabins, loopy towers and whimsical stations in Moscow. Stratton says goodbye to the SMS Poma, leaving just seven detachable surface lifts in the country by my count. 36 days before opening, go inside the eye-catching Matterhorn 3S gondola by Leitner Ropeways. Thanks to Everett and Will for these shots of Big Sky’s trailblazing Ramcharger 8 project. The State of Pennsylvania looks to spend $7.8 million on new lifts at Denton Hill, where a Riblet triple, Hall double and two platter lifts last spun in 2014. A private operator is also being sought. Maple Valley, Vermont – last operated in 2000 with three Hall lifts – sells to a new ownership group. As Aspen Mountain prepares to reinvent Lift One, the Aspen Daily News traces the remarkable history of the original. Doppelmayr will build and operate a $64 million urban 3S gondola in Moscow. The Portland Aerial Tram is set to close for five weeks in June and July while the track ropes are slipped downhill. Leitner commissions the first 2S gondola with DirectDrive in South Korea. As the public comment period nears its end, California Express faces critics. Under the proposed Hermitage Club receivership, FTI Consulting would maintain properties but wouldn’t reopen the mountain for skiing next winter. The Club objects to some of the proposal even though the receivership would be dissolved if Berkshire Bank is paid in full or the assets auctioned off. This guy is lucky to be okay and probably won’t be allowed back to Squaw Valley for a long time. Boston’s Seaport gondola proposal might be in trouble. 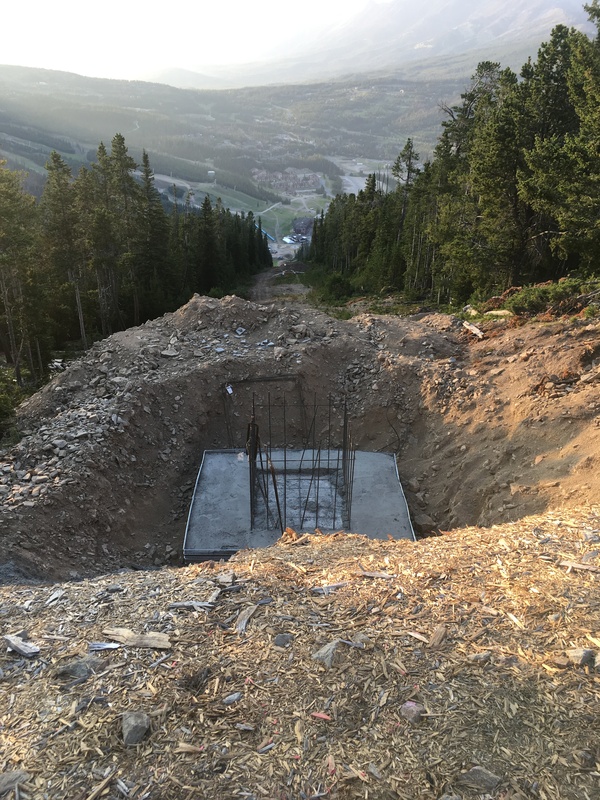 The Forest Service gives a final green light to Purgatory’s Gelande lift project although construction this summer is uncertain. Hefty tariffs on steel and aluminum coming into the United States from the European Union, Canada and Mexico take effect at midnight tonight. North America’s newest urban gondolas, built by Poma in the Dominican capital of Santo Domingo, carried 41,000 riders in their first 18 hours last week. Despite competition from the Ikon and Epic passes, Peak Resorts reports sales of its Peak Passes are up 14 percent year over year through 4/30. HTI, the parent company of Leitner, Poma, Aguido, MiniMetro, Prinoth and more reports it built 75 ropeways in 2017 and exceeded $1 billion in revenue. The Hermitage Club opposes its primary lender’s motion to appoint a receiver and says it has found a financial firm willing to loan $26 million in restructuring capital. A key court hearing is scheduled for one week from today. TransLink’s ten year, $8.8 billion vision includes funding for Burnaby Mountain Gondola planning. Gondola fever spreads in Edmonton. 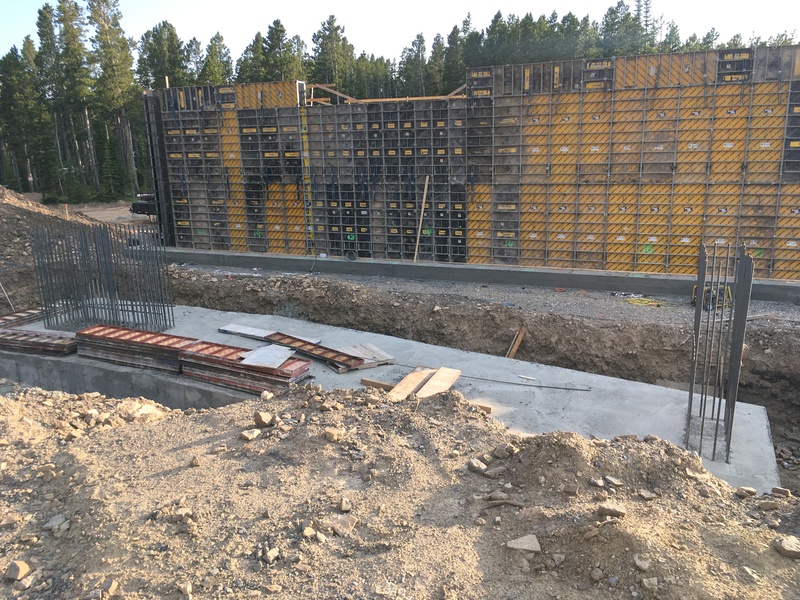 A gondola is being looked at for Idaho Springs, Colorado along I-70. SE Group and the White River National Forest test an interactive storyboard as a public engagement tool for Beaver Creek’s McCoy Park Expansion. Comments are due May 29th and a decision is expected in September. The Forest Service proposes quickly approving the replacement of Arizona Snowbowl’s Agassiz triple with a 6,100 foot combination lift utilizing gondola cabins between every three or four chairs. Capacity would be only 1,200 passengers per hour. Magic Mountain commits to finishing the Green lift and weighs the future of its nearby Pohlig-Hall-Yan contraption. See for yourself is how Aspen parks its gondolas for the offseason. The supremely-talented James Niehues is painting an all-new map of Copper Mountain to debut next winter along with two new lifts. This month’s Poma Link spotlights good stuff from Europe…a new brand platform, details on Diamond Evo cabins and new sheave liners coming in 2019. The Leitner Ropeways 2017 annual report is packed full of photographs and drawings for 32 new lifts the company completed last year. The world’s tallest tubular lift tower goes up in La Paz at 194 feet! A man who said he was stuck on a Gore Mountain chairlift the night of April Fool’s Day is charged with making false statements. Two hackers say they were able to access the Doppelmayr Connect control system for an Austrian gondola in March, raising cyber security concerns. Doppelmayr says the issue has been fixed and no riders were ever at risk. The first Skyliner station is going up in Florida and it’s a monster that appears to have two separate turnarounds. A sea of lift parts is also on site at Disney’s Hollywood Studios. Leitner unveils cabins clad with Swarovski crystals for the new Matterhorn 3S. Berkshire Bank pays propane, electric and tax bills to keep the heat on and prevent a tax sale as it asks a judge to allow a receiver to take over operations at the Hermitage Club. Doppelmayr names a new managing director set to take over later this year. LST combines wireless operator controls, 3D cameras, RFID tags and LED lighting to encourage safety bar usage and increase loading safety. The Forest Service and Bureau of Land Management approve Sun Valley’s Cold Springs Canyon project. Big Sky teases an updated rendering of Ramcharger 8 and the first photo from the factory. I’ll end this week’s roundup with some interesting thoughts on recent ski resort sales and valuations from Mike Krongel. 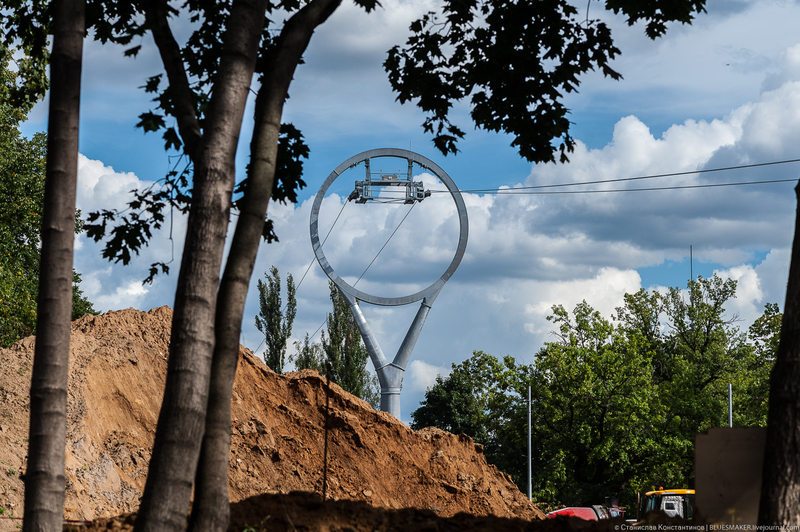 Doppelmayr will bring D-Line to France for the first time this fall. A child is okay after falling from a Big White chairlift onto a busy road. Ski California to host its first Lift Maintenance and Operations Education Conference June 5-7 at Squaw Valley. After weathering a challenging season with a narrow profit, Sunlight considers building a truly new lift for the first time in half a century. An empty cabin falls from an early model Poma gondola in France, leading to a rope evacuation and significant media attention. 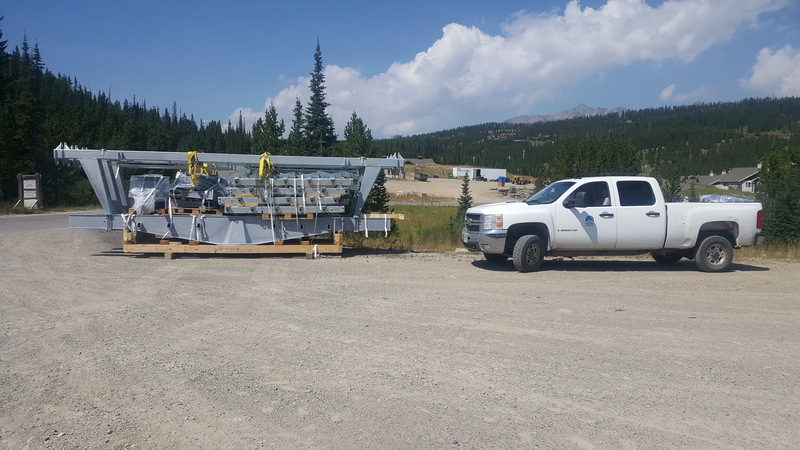 Fatzer produces a 6.5 mile long, 60 mm wide rope for what may be the new longest monocable gondola, location unknown. Mt. Timothy, BC is “flat broke” and will likely close without public funding. Leitner delivers the first Symphony cabin for the world’s highest 3S by helicopter. The financially-challenged Hermitage Club closes for the season. Garaventa names a new CEO. A state economic development authority delays consideration of a $28 million loan guarantee for The Balsams. Both Doppelmayr and Leitner-Poma show off gondolas at the International Association of Amusement Parks and Attractions expo in Orlando. A startup venture is restoring Hall, Riblet and Heron-Poma chairs for sale online. Snow King Mountain says the outcome of a rent dispute with the Town of Jackson could affect its ability to replace Summit with a gondola. Afton Alps ditches Lift 8, a 1969 Heron triple, for a terrain park. Killington switches from a James Niehues-painted trail map to a VistaMap this year; Whiteface and Belleayre ditch VistaMap for Kevin Mastin paintings. Gunstock goes from a computer-generated map to a James Niehues one and Mt. Snow does the opposite. The first lift sporting Leitner Ropeways’ new station design is almost finished. A county supervisor in San Diego who gets gondolas does a great interview about them. Aspen-affiliated KSL resort group to have a name by Christmas, launch a new pass product next year and continue participating in the Mountain Collective. T minus 14 days ’til Vail Resorts reveals preliminary lift plans for next year.